Book Your Hula Hoop Dance Party Today! 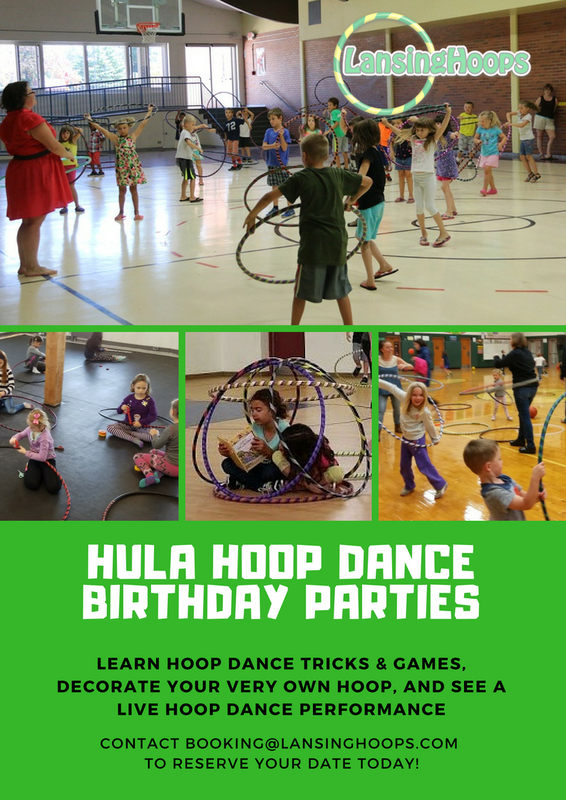 Hula hoop birthday parties are an incredible way to celebrate your son or daughter’s special day. Parties include an introductory hula hoop dance lesson, group choreography session, games, dance party, and a live hoop dance performance! Whether you’re hosting your own event, or you need a place to celebrate, Lansing Hoops is ready to make your child’s birthday a success. Book your party today! Fill out the form below and press submit. We will contact you via email to schedule your event. How many guests do you expect? Do you have a party theme? Is there anything else I should know?